We were delighted to have Mayor Stephen Keary visit the school during tree week. 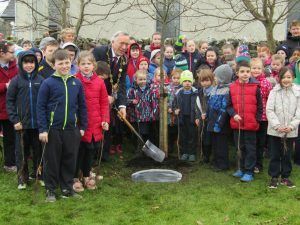 The mayor planted a beautiful oak tree on the school grounds and a commemorative plaque records the event for the future. The children were delighted to receive a gift of a tree that they can plant and care for at home.